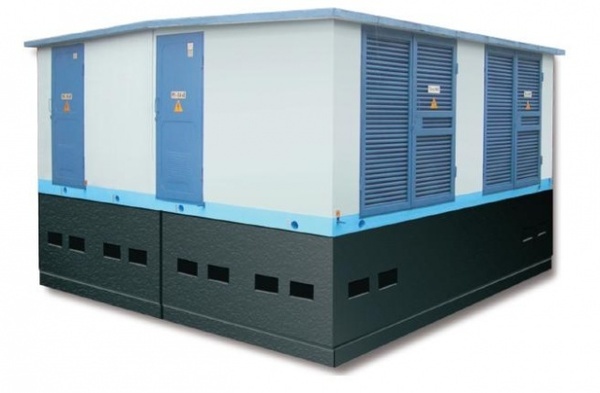 Complete one - and two-transformer substation (MITS and (2) MITS) in a concrete housing serve for the reception, conversion and распределенияэлектрической energy efficiency (EE) of three-phase AC voltage of 6-20 kV, 50 Hz and are designed for use in sistemahelektrosnabzheniya urban housing and public utilities, public and industrial facilities, as well as zones of individual buildings and kottedzhnyhposelkov. EE distribution is carried out on voltage of 0.4 kV using the waste from BKTP cable lines. Substation type (2) BKTPkomplektuetsya dvuhobmotochnye "oil" transformers (or "dry" option) with capacity from 25 to 2500 kVA. At the request of the Customer (2) BKTP can be equipped with an automatic backup switching (ATS) on the low voltage (LV) or on the side of the high-voltage (HV). In addition, on the HV side is possible to connect the power cable cross sections up to 240 mm2 inclusive. · Simplicity of design and ease of installation at the site.